A Lot Containing A Collection Of Police Items. BT Helmet Badge. 7 X Police Whistles Some Marked ARP. 2 X Unused Pencils. 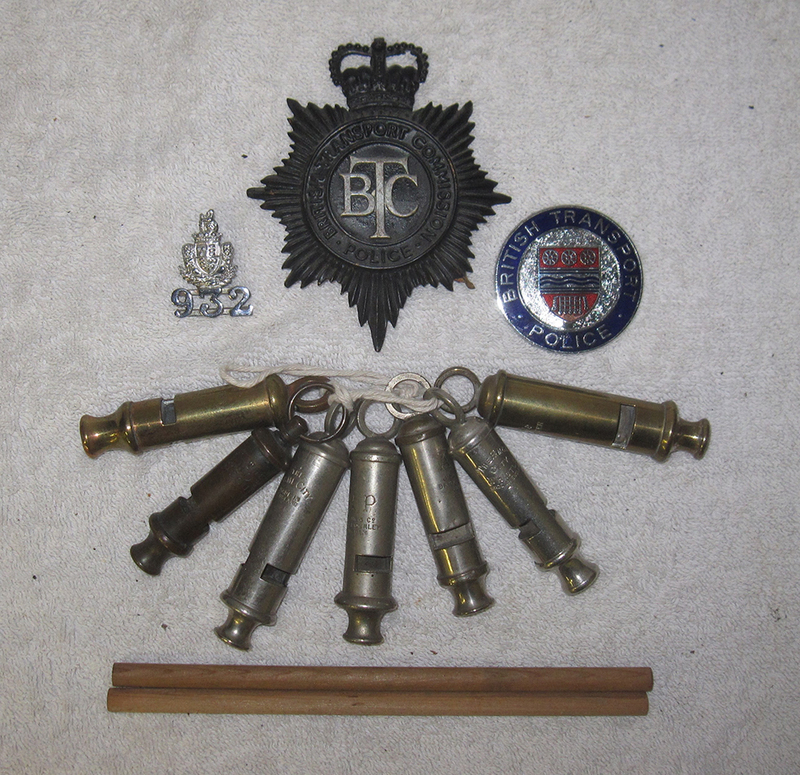 An Enamel Modern BT Badge And An Early Police Numbered Shoulder Badge 932.